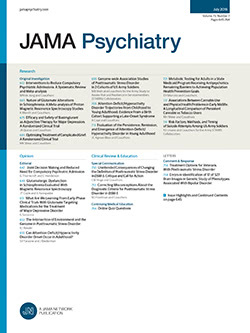 Expectations for new neuroleptics with improved antipsychotic action have been high since the demonstration of differential antipsychotic efficacy with clozapine.1 The exact mechanism of clozapine's unique antipsychotic action is unknown, so directions for new drug development have been speculative. Remoxipride hydrochloride is a substituted benzamide of the sulpiride family; it has highly selective dopamine D2 antagonist activity and in vivo selectivity for limbic D2 receptors.2 Although this neuroleptic is not now in active development in the United States for toxicity reasons, its known clinical actions and preclinical properties can provide information for future drug development. Remoxipride has already been shown to produce significantly fewer motor side effects than the standard neuroleptic, haloperidol.3 Herein, we report preliminary data suggesting that remoxipride, like clozapine, has unique antipsychotic activity in neurolepticresistant schizophrenic individuals.